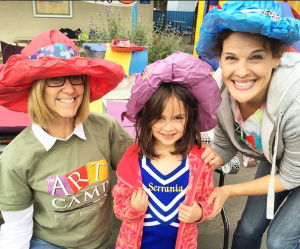 CHECK OUT OUR 2017 ART CAMP ENROLLMENT DATES & TIMES! RETURNING FAMILIES registration: Sunday February 12th – starting at 9am. FRIENDS OF RETURNING FAMILIES* & FORMER FAMILIES registration: Sunday February 19th – starting at 9am. OPEN ENROLLMENT registrations: Saturday February 25th – starting at 9am. *NOTE*-“Friends of Returning Families” must attend camp on the same session and days as the Returning Camper! You don’t have to take the same workshops, but you must attend the same days. *NOTE*- “Former Campers” (those who attended art camp in the past, but missed camp in 2016) may enroll on Feb 19th- starting at 9am. This entry was posted in Art Camp, Camp Updates on February 8, 2017 by Ashley. Art Camp 2017! Save the dates! The Art Camp is so excited to announce our summer camp dates for 2017! We hope to see you there! Stay tuned for information regarding programs & prices! This entry was posted in Art Camp, Camp Updates on November 2, 2016 by Ashley. Big News from Ashley and The Big Cheese! David Wohlstadter (aka “The Big Cheese”) and I have some exciting news for you all! Please read the email below from David regarding Art Camp 2016! If you have any questions, please feel free to contact me at anytime. Thank you so much. I promise to continue to provide a quality program that is creative, unique, positive and FUN for your kids! See you at camp! I have some exciting news and wanted you to be among the first to know! After 15 wonderful years of running the Summer Art Academy, 9 of those years at Ilan Ramon, I am transferring ownership of my summer camp program to Ashley who, as you know, has been running camp with me now for 9 years! I know that our loyal camper community is in capable hands with Ashley.On the surface not much will change, camp will still be the same great program you have come to expect each summer and once camp does start I will still be around, after all the Big Cheese cannot just disappear! Running a successful summer at camp has never been an issue for Ashley , as you know she runs a tight ship and I am positive she and her wonderful staff, many of whom you know, will continue to do so over the years ahead. 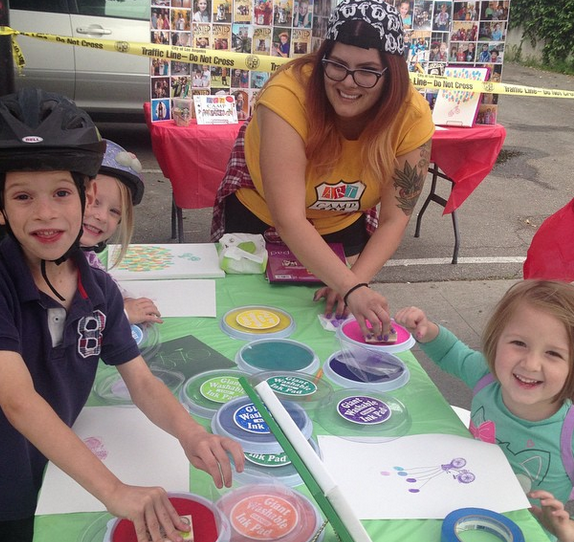 So as I look toward retiring from the camp business, please welcome Ashley as she steps into her new role as owner of the Art Camp and her bright future as a business owner. I am so excited for her. Wen all can’t wait to see you again this summer at Art Camp! This entry was posted in Art Camp, Camp Updates on March 4, 2016 by Ashley. CHECK OUT OUR 2016 ART CAMP ENROLLMENT DATES & TIMES! RETURNING FAMILIES registration: Sunday February 7th – starting at 9am. FRIENDS OF RETURNING FAMILIES* registration: Sunday February 14th – starting at 9am. OPEN ENROLLMENT registrations: Saturday February 20th – starting at 9am. *NOTE*- “Former Campers” (those who attended art camp in the past, but missed camp in 2015) may enroll on Feb 14th- starting at 9am. 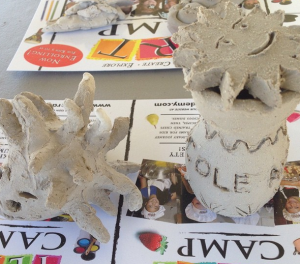 This entry was posted in Art Camp, Camp Updates on January 6, 2016 by Ashley. 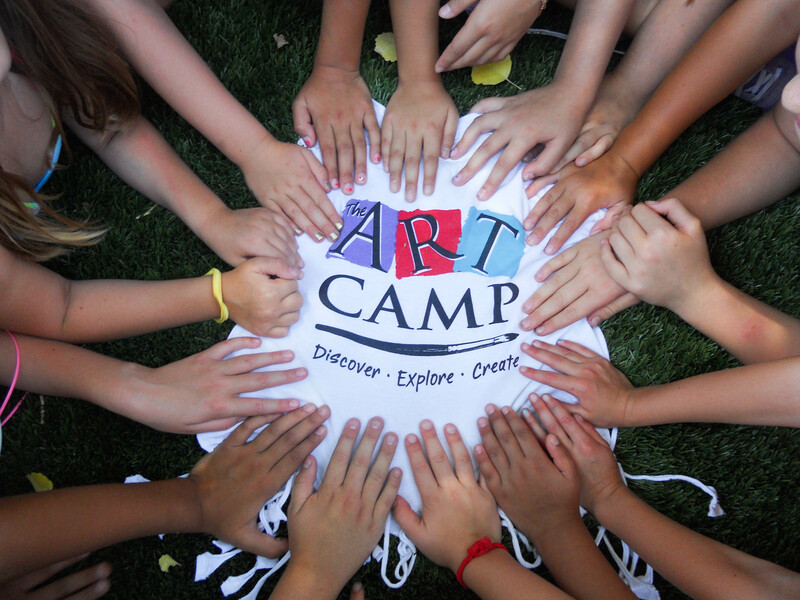 We are SO excited to announce our Art Camp 2016 dates & prices! 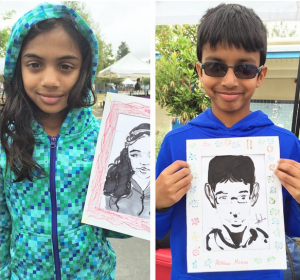 This summer we will offer FOUR Art Camp 101 choices on MWF and THREE choices on TTH (for both sessions). We will also offer one DaVincheese group on MWF and one on TTH (for both sessions). This summer we will offer ONE Teen Camp group on MWF and ONE on TTH (for both sessions). This is a 5 day a week program. JCITs/CITs may sign up for ONE session or TWO. Please email ashleyfalsnes@gmail.com for more information on our “Counselor in Training” Programs. 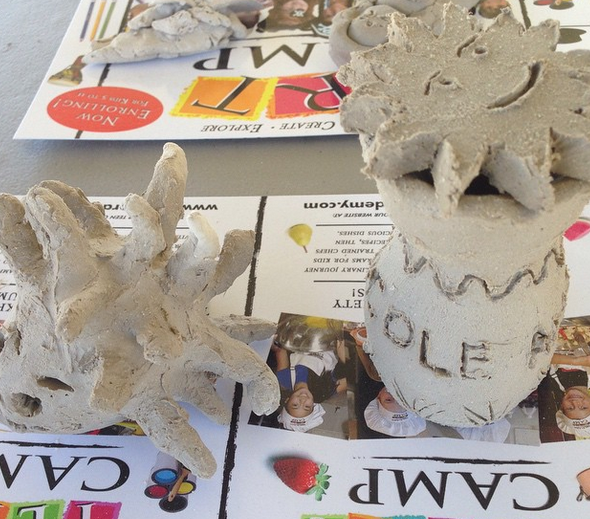 This entry was posted in Art Camp, Camp Updates on December 8, 2015 by Ashley. 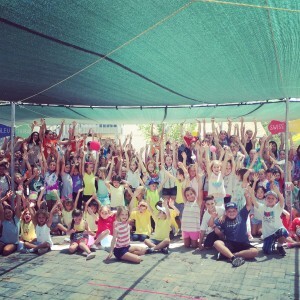 Good Day Art Camp Families! It’s week 2 already, which means we’re almost halfway done with the session. It’s crazy!! So many exciting things are happening this week!! Wednesday is HIPPIE DAY, where kids can dress up in their favorite hippie outfit from our favorite decade. On Thursday, it’s CRAZY DAY, where you can mix and match outfits, wear your hair in a weird way, hairspray it different colors, wear different color socks, or even come as your crazy self to camp. As always, we will have lots of games and really cool activities. The JCITs and CITs will have awesome activities for the children for either day or maybe even both! But the most important thing is happening this upcoming weekend…IT’S THE SLEEPOVER!!!!! Our favorite time of the year! This session’s theme is Ashley, Morgan, and Olivia’s Ultimate Birthday Bash! 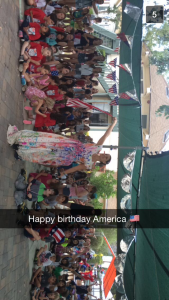 When we took Ashley, Morgan, Olivia, and the Art Camp’s birthdays and added it together, we got 8 1 (August 1st)! Cool huh? The directors will have an activity to do with the kids that they’ve been dreaming to have at their birthday parties since they were kids, but could sadly never do. Food, desert, and breakfast in the morning is fully covered, and fun is always guaranteed. 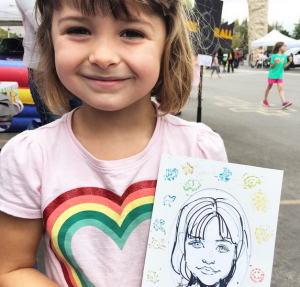 I know you’re wondering how you can sign your children up for the fun (and the weekend off). Well, if you follow this link, you can fill out the form and turn it in to Ashley, Morgan, or Olivia. But hurry up cause the spaces are LIMITED!! P.S. If you’re already signed up for the sleepover (YES! ), you still need to turn in a form, just not the payment. Also, our wonderful Chef Shantai has a Hot Lunch Program. The lunches are nutritious and filling for children, but most of all, easy for you. There are vegetarian options if need be. The meal options change daily, but remain the same weekly. If you want to sign up for one day this week, a whole week, or even the rest of the session, click here and complete the form. If you wanted to stay updated daily with pictures of your super cute kids or see what funny things we are doing at camp, follow our Instagram (@agouraartcamp). You can check our Facebook for updates as well! Last but not least, the Directors, Teachers, and Counselors will like to thank you for all your wonderful support and cooperation throughout the summer! This entry was posted in Camp Updates on July 25, 2015 by Ashley. To the families new and old, the Art Camp Staff would like to welcome you to Session 2! We are so excited to start another four weeks filled with water bombs, sleepovers, prank week, yummy treats, and so much more. If you are a new family, don’t forget to attend our Open House this Sunday (7/19) from 9-1. 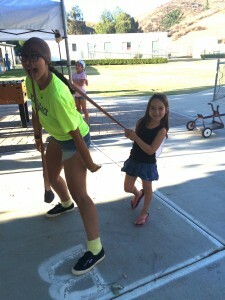 At camp, we want to ensure that we are having a blast every single second of the day. As much as the Directors would love to do that job, they unfortunately cannot. That’s where our wonderful counselors come in! Our counselors are trained well in the craftsmanship that is FUN; some of them have been at camp since we’ve been at Ilan Ramon (eight years) while others are joining us for the first time. Either way, they are all excited to spend their summer playing silly games, getting soaked, making a fool of themselves, but most importantly, ensuring that everyone is having a blast. 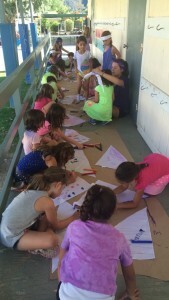 Throughout the summer, Art Camp participates in fundraising money for Camp Del Corazon, a camp for children with heart disease or a history of heart disease. The money that we raise helps send children who cannot afford to go to camp. Last session, we were able to help raise $6,217, which is enough to send 6 children to camp. Our goal this session is to raise more, because the more kids we can send the merrier. Do YOU think we can raise more money? On another note, our wonderful Chef Shantai has a Hot Lunch Program. The lunches are nutritious and filling for children, but most of all, easy for you. There are vegetarian options if need be. The meal options change daily, but remain the same weekly. If you want to sign up for one day this week, a whole week, or even the rest of the session, you can follow this link and complete the form. This entry was posted in Camp Updates on July 18, 2015 by Ashley. We can’t believe it is already week 4! Where has the session gone?! So crazy how fast it went. This past weekend was THE AMAZING RACE SLEEPOVER. 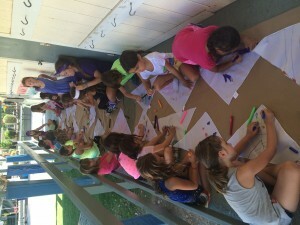 The kids had an amazing time doing scavenger hunts, playing different challenges, and sleeping at camp. We played mind-blowing games, and below, are just some of the pictures from the sleepover. Don’t forget you can already register for the Session 2 Sleepover! As the session is coming to a close and we are sad to say goodbye to the campers that we have made memories with. That being said, we are super excited to see the wonderful performances that they have worked so hard to put together for the camp, and especially the parents. If you know that your child is in a performing class on Monday, Wednesday, and Friday, look at this schedule. If your child is in a performing class on Tuesday and Thursday, click here. If you pay for you son or daughter to eat popsicle every time they’re at camp, you already know that all the profits go to Camp Del Corazon, a camp for children with heart disease or a history of heart disease. The money helps send children who cannot afford to go to camp. 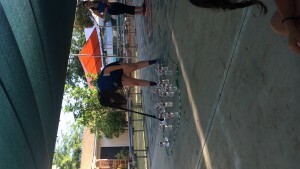 This session, we helped raise $6076! 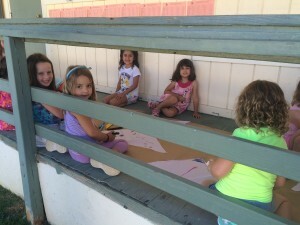 That’s enough to send 6 children to Camp Del Corazon, which is more than we’ve ever had in Art Camp history! Awesome!!!!!!! Teen Camp LOVED buddy blocking with Da’vinCheese on Tuesday and Thursdays that we’re doing it again! 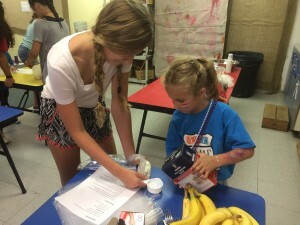 Teen Camp helped their 101 buddies make ice cream from scratch. We combined Teen Camp’s science class with Da’vinCheese’s cooking class to create an awesome experience they both enjoyed. Everyone made a new friend! If you had as much fun in Session 1 as we all did, it is still not too late to register for Session 2 101, upper, or even teen camp! We have completely new classes with some awesome new teachers, JCITs, CITs, and Counselors. We’re so ready to relive the fun from Session 1, on a whole new level. Pranks will be heightened, games will be more challenging, and classes will be just as intriguing. But, register quick before spots start to fill!! Don’t forget to check out our Instagram (@agouraartcamp), which is updated hourly with awesome pictures of your wonderful kids. You can check our Facebook for updates as well! Also, our wonderful Chef Shantai has a Hot Lunch Program. If you want to sign up for the rest of this week and next week, or even next session, you can follow this link and complete the form. Last but not least, Ashley, Morgan, Olivia, and David would like to thank you, the parents, for all the hard work you guys have done throughout the session. Without your support and efforts, this session would not have been as amazing and wonderfully fun as it was. We really appreciate all you have done! This entry was posted in Camp Updates on July 15, 2015 by Ashley. It’s week 3 already! So many exciting things are happening this week!! 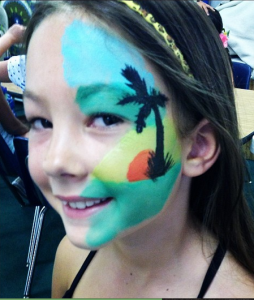 Wednesday is HAWAIIAN DAY, when kids can dress up in their favorite Hawaiian outfit. On Thursday, it’s BEACH DAY, when the whole camp will feel like they are at the beach, relaxing on our towels and tanning in the sun. We will have lots of games and really cool activities. We also will have SLIP AND SLIDES!! The Art Camp Staff can’t wait for our favorite week! The kids will be sliding down slippery slides, getting soaked, and most importantly, beating the heat. But the most important thing is happening this weekend…IT’S THE SLEEPOVER!!!!! Our favorite time of the year! This session’s theme is The Amazing Race. The kids will run from “country to country” solving awesome mysteries and doing really cool activities, all with our awesome sleepover staff. Food, dessert, and breakfast in the morning is fully covered, and fun is always guaranteed. We know you’re wondering how you can sign your children up for the fun (and the day off) this weekend. Well, if you click here, you can fill out the form and turn it in to Ashley, Morgan, or Olivia. But hurry up because the spaces are LIMITED!! Last but not least, the Directors, Teachers, and Counselors will like to thank you for all your wonderful support and cooperation throughout the session! This entry was posted in Camp Updates on July 8, 2015 by Ashley. Art Camp Booths at School Carnivals and Fairs! If YOUR Elementary School/Middle School/ Temple/ Church/ Organization etc hosts a fun springtime Carnival/Fair/Open House/Event etc, let us know! 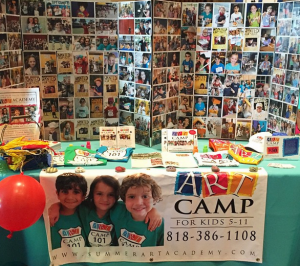 The Art Camp would LOVE to run a booth (or two, or three)! 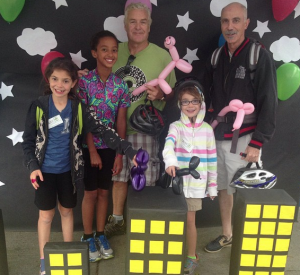 We have had huge success at schools like: Bay Laurel Elementary, Serrania Elementary, Ilan Ramon Elementary and more! We also love to run booths at fun events like: The Great Race, Ciclavia, Stephen S Wise Summer Camp Fair and more! This entry was posted in Camp Updates on May 1, 2015 by Ashley. Get blog posts, camp updates, and fun camp photo galleries delivered to your inbox.